1. For the Best Mardi Gras Celebration (outside of NOLA)! Food, fun & millions of free beads! 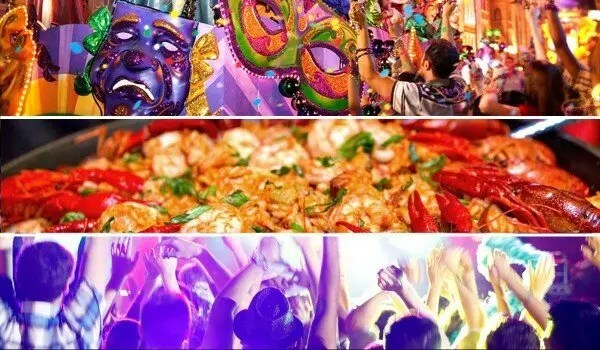 The biggest – family-friendly – Mardi Gras celebration outside of New Orleans kicks off in February at Universal Orlando. On select nights through April, enjoy a spectacular parade with floats, lots of free beads, top name acts performing in concert including Jessie J, Kelly Clarkson, legend Olivia Newton John, Heart and the B-52s, authentic New Orleans Cajun & Creole cuisine such as Jambalaya, Gumbo, Po’Boys and those famous beignets, plenty of Hurricanes and colorful drinks, musical entertainment straight from the Big Easy, street performers, plus a chance to be on a float! If that’s not enough, it’s all included with your theme park admission so you get to experience all the thrill-rides like the awesome Harry Potter Diagon Alley, Transformers, The Simpsons, and Despicable Me as well. 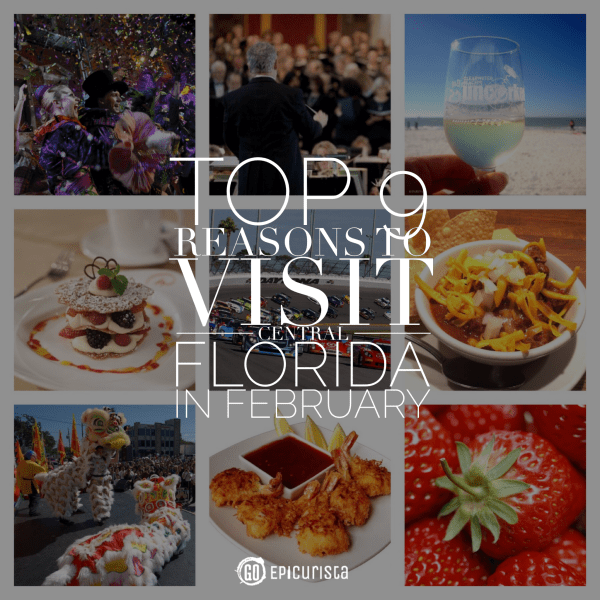 This is a great reason to visit Central Florida in February, don’t you think? Let the good times roll! 2. For the Food & Wine Tastings! ^ Wine Weekend St. Pete features over-the-top wine tasting events themed around the Belle Epoque of France celebrating the Museum of Fine Arts 50th anniversary and their new Impressionism exhibition including works from great artists like Monet, Renoir and Cezanne. On February 6-8 at the beautiful downtown St. Petersburg waterfront, events will feature sumptuous food, French wines and live auction. In attendance will be well-known winemakers Jean-Charles Boisset and Gina Gallo as well as notable chefs. ^ To truly escape winter, head to the beach for a more laid-back atmosphere while sipping great wines and noshing on local tastes with your toes in the sugary white sand. Clearwater Beach Uncorked, the hippest beachfront gastronomic event on Florida’s west coast, is an event not to be missed. Held on the beach of the Hyatt Regency Clearwater Beach Resort, on February 7-8, it features the Grand Tasting Village with world-class food and wine and the Uncorked Spirits Beach Lounge with plenty of spirits and microbrews. ^ On February 21 & 22, head to the Downtown Orlando Food & Wine Festival for a tasting of over 100 mouth-watering dishes from 30 of Orlando’s premier restaurants, 10 wine stations serving over 50 wines from around the world, and live entertainment including Lifehouse and Loverboy. Plus relax at the Sports Bar with the latest sports or Party at the Liquid Lounge with Orlando’s hottest DJs. On Lake Eola, along Robinson Street. 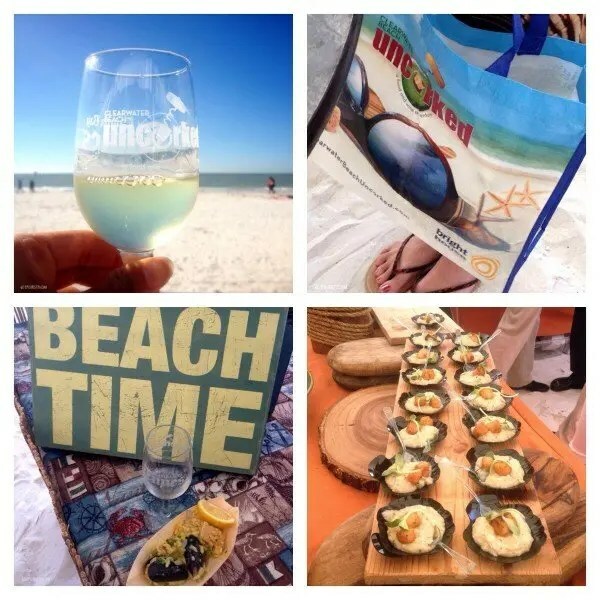 Clearwater Beach Uncorked, a great way to enjoy food and wine in the sand! 3. For the Love of Bach! The Bach Festival Society of Winter Park is the third-oldest continuously operating Bach Festival in the United States and Central Florida’s oldest operating performing arts organization. Founded in 1935 to commemorate the 250th anniversary of Johann Sebastian Bach’s birth, it presents the composer’s orchestral and choral music to the public for pure enjoyment. 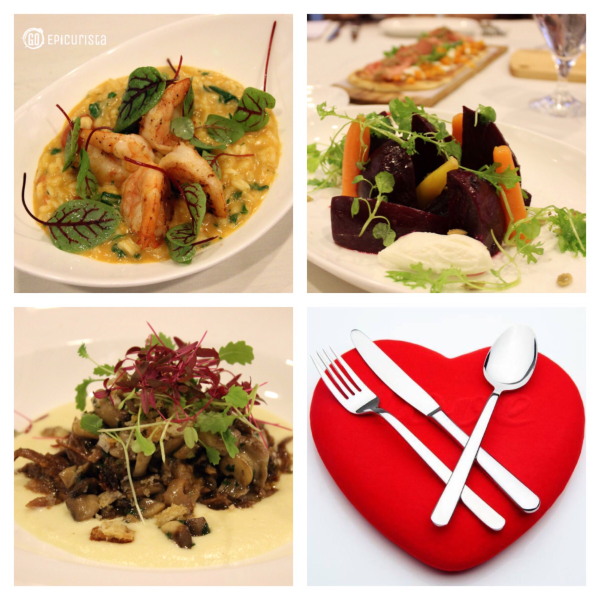 Offering a variety of events and performances to choose from throughout February, I chose these more intimate casual events which combine food and music for a delicious celebration! 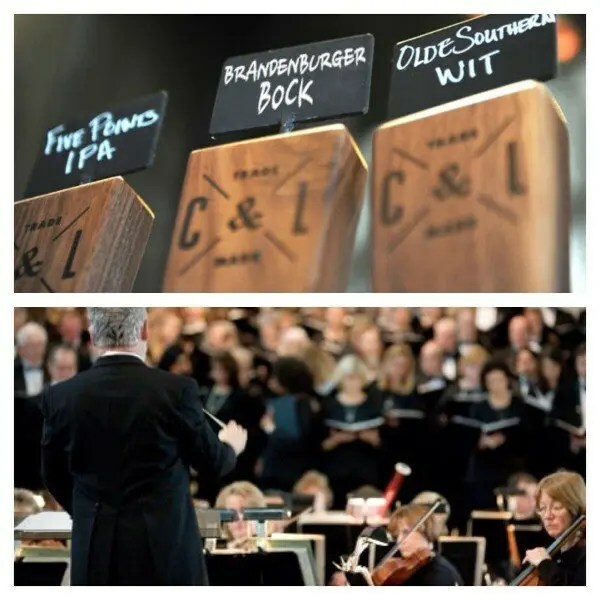 ^ Music and Beer lovers can’t miss Bach & Beer on February 7, from 3pm-6pm, as the brewmasters of the popular southern-inspired brew pub Cask & Larder release a limited edition beer, Branderburger Bock, in honor of the 80th Annual Bach Festival. This beer comes closest to resembling the beer of Bach’s time. Did you know Bach enjoyed beer-drinking and was often paid in beer? Free to attend, the event will also feature German music, beer and food for purchase. 565 W. Fairbanks Ave, Winter Park FL. ^ Winter Park’s beautiful boutique hotel, The Alfond Inn, offers a chance to get to know the soloists that come from around the world to perform with the Bach Festival Choir and Orchestra in an intimate environment at Bach @ The Alfond. Have Tea with the Soloists and meet soprano Arisa Kusumi on February 20, and mezzo-soprano Laura Pudwell on February 25, from 3pm-4pm, or Happy Hour with tenor Robert Breault & bass Kevin Deas on February 27, 5pm-6pm. Free to attend, refreshments available for purchase. 300 East New England Ave, Winter Park FL. 4. For a Valentines Getaway! ^ Alfond Inn’s From the Heart package includes two-nights in a classic room, bottle of champagne in your room, Chef’s four-course tasting menu with wine pairings at the popular Hamilton’s Kitchen restaurant, romantic amenity and turndown service, and complimentary valet parking. 300 East New England Avenue, Winter Park FL. 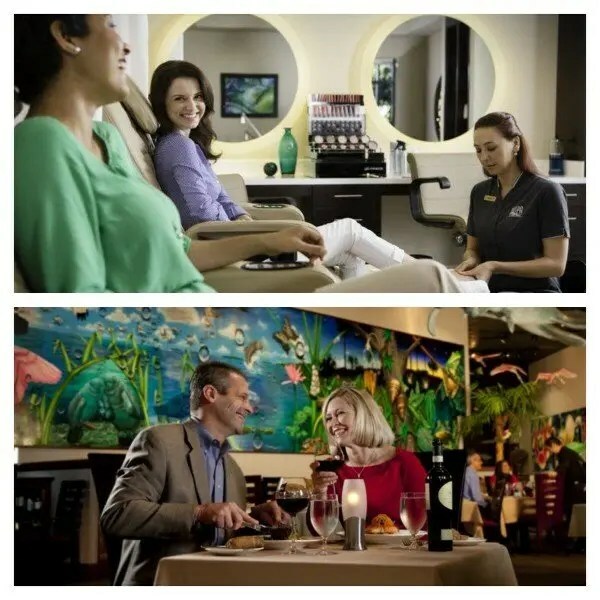 ^ Rosen Centre Hotel’s Valentines Package includes one night stay, four-course dinner in their fine dining restaurant Everglades or poolside dinner at Harry’s, a sumptuous buffet breakfast in Café Gauguin, and complimentary valet parking. Spa package including massages and peppermint scrubs are also available. to include 9840 International Drive, Orlando FL. 5. For the need for Speed! 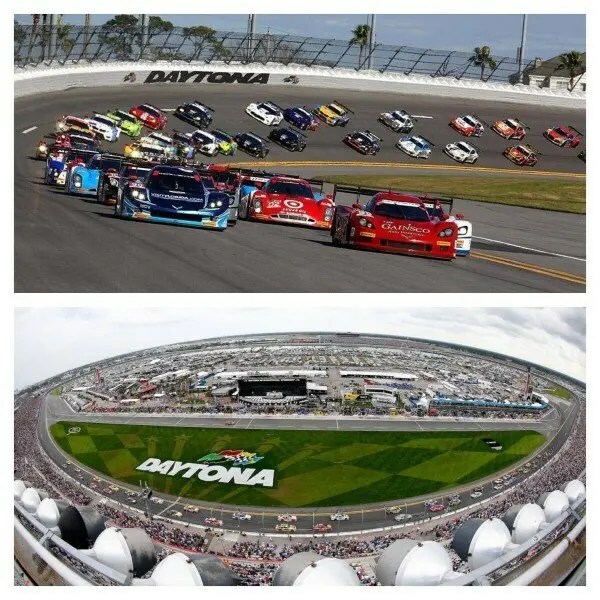 The Daytona 500, known by avid NASCAR fans as “The Great American Race”, at Daytona International Speedway is not only the first race, but also the most prestigious, of the season. This “Super Bowl” of stock car racing has been held in the month of February in Daytona since 1959 and this year we get to experience the classic colorful seats one last time as the grandstands are getting a major makeover. This is one of the most thrilling car races in the world and if you’ve never been, you are missing out on an All-American pastime. It’s time to check it off the bucket list! In addition to race tickets, I highly recommend purchasing a Sprint Fan Zone access pass to enjoy the pre-race show with multi-platinum award-winning rock star Kid Rock, plus get access to pit road, autograph the start/finish line, tour the garages, get stage front access to driver introductions and enjoy a variety of food options including the Budweiser Bistro, all starting on February 22 at 7am with the race at 1pm. A visit to Central Florida will satisfy your need for speed! You don’t want to miss it! 6. For the BBQ & Chili Festivals! 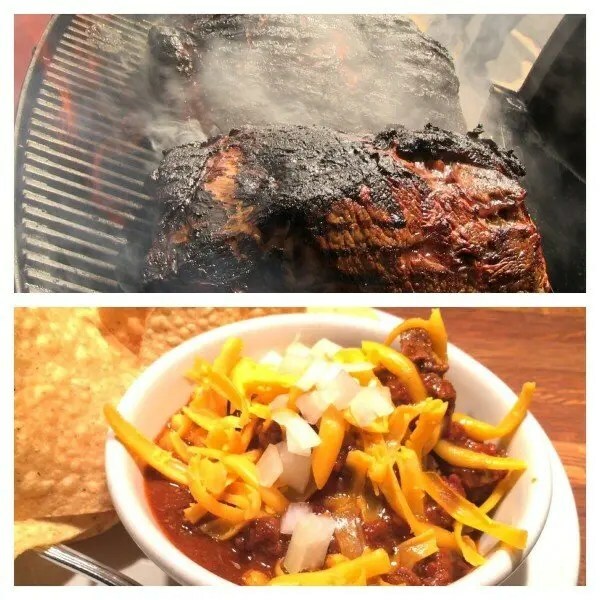 If you love BBQ and Chili like we do, this is reason to visit Central Florida in February! ^ Beer, Bourbon and BBQ Festival comes to Tampa, Florida this February for some beer sippin’, bourbon tastin’, music listenin’, cigar smokin’, and barbeque eatin’. This is Tampa’s biggest Hoedown Throwdown! Admission ticket gets you a souvenir sampling glass for all you care to taste samples of 60 beers and 40 bourbons. First 100 guests in line receive a free “I Heart BBBQ” t-shirt. Take a look at the Shrine of Swine, BBQ vendors offer a great barbecue selection of pulled pork from whole hogs, ribs, brisket, chickens, sausage and all the fixin’s. Live Rock, Blues and Bluegrass music, seminars from master distillers, brewmasters and pitmasters, and much more are sure to make this a fun event! Curtis Hixon Waterfront Park, Tampa FL. February 14, 2015, noon-6pm. ^ The Winter Park Chili for Charity event organized by the Rotary Club of Winter Park is unlike traditional Chili cook-offs with its Winter Park flair and community spirit. Popular local restaurants and caterers including 4Rivers Smokehouse, Hillstone, The Smiling Bison and John & Shirley’s Catering compete for the People’s Choice award and bragging rights. Live jazz entertainment, drinks, desserts and a silent auction make this a fun family outing in this charming neighborhood where net proceeds are donated to local charities. Held at the Winter Park’s Farmers Market, 200 W New England Ave, Winter Park FL. February 25, 2015, 5:30pm-8pm. 7. For the Lunar New Year Celebrations! 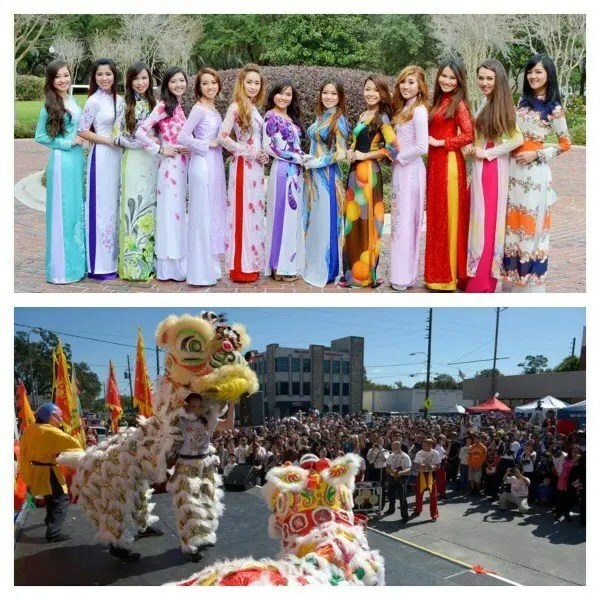 ^ Vietnamese New Year Festival held at the Central Florida Fairgrounds includes the Miss Vietnam Florida Pageant organized by the Vietnamese Community of Central Florida. February 7-8, 2015, 4603 W. Colonial Drive. ^ Vietnamese Vegetarian Food Festival at Bao An Buddhist Temple will feature vegetarian foods and traditional performances. February 15, 2015, 5788 N. Apopka Vineland Road. In Tampa Bay, the Suncoast Association of Chinese Americans hosts a gala and festival to celebrate Chinese culture and the Lunar New Year. 8. For the Kickin’ Seafood & Blues! 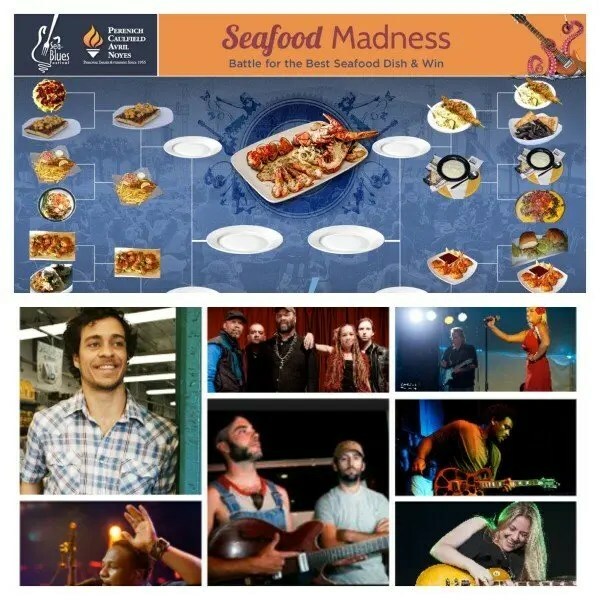 Enjoy some of the best blues musicians live in concert paired with Tampa Bay’s finest seafood at the Clearwater Sea-Blues Festival presented by The City of Clearwater. The Blues Walk restaurant crawl along Cleveland Street kicks off the event on February 20 with each restaurant offering seafood specials and live blues along the way. On February 21-22, 2015 enjoy a relaxing day in beautiful Coachman Park and full day of entertainment and fun. Visit Central Florida and you’ll find out why this is the only place you can enjoy great food and music outdoors this time of year. 9. For the Strawberry Shortcake! The Florida Strawberry Festival, in its 80th year, is an 11-day community event celebrating the strawberry harvest of Eastern Hillsborough County. 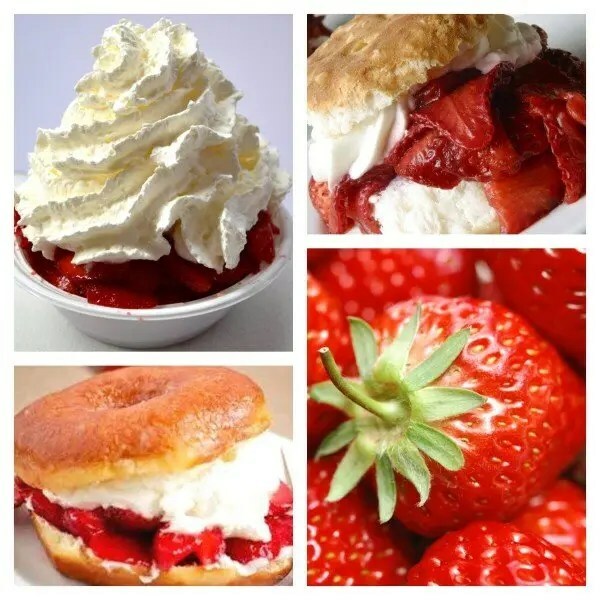 Each year, nearly 500,000 visitors enjoy the festival’s entertainment with some of today’s popular country music stars, youth livestock shows, exhibits, midway rides and fair food galore, and of course, the best strawberry shortcake in town – whether you like it on cake or biscuit or even a donut! February 26-March 8, 2015 in Plant City, FL. Read more about the Florida Strawberry Festival in my post “Small Town Feel, Big Fun with Friends”. I hope you found some inspiration to get away in February and celebrate with friends at these fun events, which are proof that there is more than great weather as a reason to visit Central Florida in February. If you live in the area, what are you waiting for? GO get out there and celebrate in your own backyard! Number 1 reason for me would be the weather. Ahhh, to escape the frigid Northeast. Weather is always #1 in our book! How could you not love 60-70F days while the rest of the country is freezing? Come on down for a visit Charles! Not much on NASCAR (grew up there and had to live through the traffic), but I have enjoyed many a Mardi Gras concert at UO! My favorite has always been the B-52s! The B-52’s concerts at UO Mardi Gras have been awesome! They are back this year and I never get tired of seeing them perform. It’s so great to be able to see so many different concerts in one fun venue. Thanks for stopping by! Cheers! This is a really helpful round-up, Christina. It gives a broad view of ways to enjoy Orlando beyond the theme parks. Thanks Rona! There is so much to do in Orlando, it’s tough to keep my list to only 9 reasons to visit! Thanks for checking out GO Epicurista! Cheers!